What causes brown patches in St. Augustine Grass? St. Augustine grass, is a popular thick growing warm season grass, that easily keeps most weeds out. Unfortunately it is susceptible to brown patches which most commonly occur in fall and winter in this region. But what do you do to get your lawn back back in shape, and how can this be prevented from happening again? Maintaining your yard properly can prevent this type of fungus from destroying your lawn. Most steps for patch fungus prevention are typical for maintaining any yard, but St. Augustine grass can be a bit more sensitive. St. Augustine Grass is susceptible to a type of fungus aptly called brown patch fungus. Brown patch fungus unsurprisingly causes large brown patched in the lawn. Don't water at the wrong time! Instead water in the early morning, preferably at sunrise. This will give the grass blades time to dry before nightfall. Watering the lawn too late in the day will leave the lawn wet at night. This is especially problematic in the cooler months as this is precisely the conditions brown patch mold thrives in. Your grass needs water, but not too much! If you think watering your lawn every day would be a good idea, think twice. 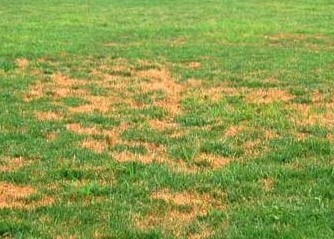 Watering your lawn too frequently causes the damp conditions that brown patch mold loves. The recommended depth to water St. Augustine grass is 3/4-1 inch of water per zone at each watering cycle. Turf in full sunlight will likely require 3 days a week while partially shaded turf will likely only need 2 days a week. If the grass appears dull or grayish green, the blades are likely folding to reduce their surface area to the sun. this condition is called heat stress and can only be overcome by additional water. Avoid Using Nitrogen rich fertilizer in early fall. Nitrogen fertilizer promotes lush green growth, and this soft growth is just what brown patch fungus enjoys. This new growth provides a nice platform for the fungus to grow on. Fertilizing too early or late can lead to fungus growth. Instead use nitrogen fertilizer only in late spring or in the summer. To avoid spreading the brown fungus control your grass clippings by mowing your yard regularly. 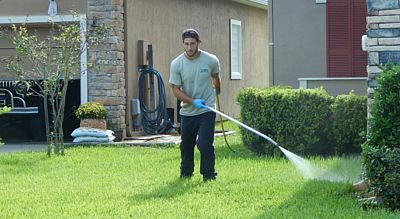 Mowing your yard every ten days to a height of 2.5 - 3 inches is optimal for St. Augustine grass. Timely maintenance will avoid too many clippings from building up. If you want to cut the grass shorter, you will need to cut it more frequently. You want to keep clippings from clumping up and creating too much thatch, thatch can also lead to excess moisture. Using fungicide early can be an effective way to control brown patch mold. There are many fungicides to chose from, and the one you chose will be largely dependent on what is available in your area, as well as the type of application that works best for you. Whichever fungicide you decide on, follow the instructions on the packaging. Most fungicides will need to be applied once or twice a month. For the best results, be certain to begin use fungicide at the first signs of brown patch fungus. Following this simple guide will help you avoid the horrors of brown patches in your lawn. Be sure to maintain your yard properly to avoid brown patch fungus. 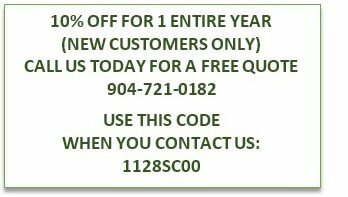 But, if you have the misfortune of having brown patch mold in your St. Augustine grass and you live in Jacksonville area. 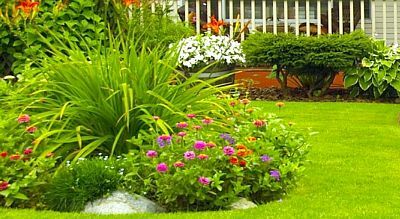 Call Integrity Lawn & Ornamental today for a free consultation. 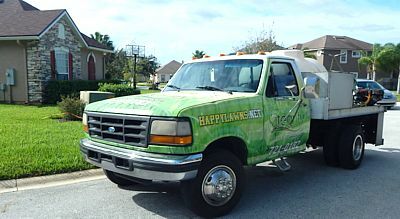 Or, you may simply fill out the quote request form for a quick lawn fungus controll quote.